Xi Jinping: servant or dictator? China's communist party awaits a steer on its next leadership transition. But might the current president have other plans? "Sometime in 2016, a number of people in provincial or ministerial leadership positions might start to get more state media coverage, with clues appearing of their being positioned for promotion." In Beijing a decade ago, the most popular game among “China-watchers” involved speculation about the leadership shuffle expected at the seventeeth congress of the Communist Party of China, due in 2007. Both inside and outside China, lists of potential new leaders began to circulate. These often differed significantly, according to the judgment of the consultants, analysts and observers who produced them. But everyone did agree on one thing: what was about to happen marked a generational change in elite politics in the People’s Republic of China. New leaders would indeed start to emerge in 2007, and most likely they would be elevated to the top positions five years later, at the eighteenth congress in 2012. All this came to pass exactly as was foreseen. The party is now due to hold the nineteenth congress by the end of 2017, which might be a reminder to China-watchers to get out the game-board. Yet there is a striking difference from 2006. Around that time, the same few names kept cropping up for the top slots. Li Keqiang had figured in speculation since the early 2000s, when he was spoken of somewhat loosely as a protégé of Hu Jintao, the then president. Li Yuanchao emerged a little later, favoured because of his liberal reign in Jiangsu, but also because he had an elitist background of a kind then seemingly coming back into favour. 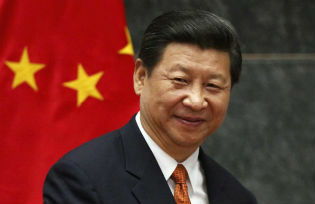 Xi Jinping’s name arose only late in the day – some time around 2005. A decade ago, plenty would have put good money on the two Li’s being victorious. Today, by contrast, it would be hard to produce a neat list of possible candidates for promotion. And this is revealing about Xi Jinping’s leadership style. His predecessor Hu Jintao was clearly a man for procedure. That lay behind the fashionable talk of “intra-party democracy”, whose real aim was to make the party’s governance of itself more predictable, institutionalised and stable. In the wider society, the party was no more willing to cede space to rights lawyers, dissidents and civil-society groups than it is today. What was different was the desire inside the party itself to have some of that “democracy” stuff – just as long as this didn’t involve multi-party outcomes and a challenge to the party’s monopoly of power. “Intra-party democracy” is a slogan now largely forgotten. Under Xi, procedure and similar unexciting topic have also received little airtime. His era is marked by grander notions – of a “China dream”, of “one belt, one road”, of “centennial goals”, of “four comprehensives”. Xi himself is not just a president but a commander-in-chief (a title he has just conferred on himself). In such heady times, why expend effort on something as tedious as mapping out the succession: that sort of thing can wait, surely? But as 2016 hurtles on and 2017 looms, the question of which names emerge for appointment to the standing committee of the politburo gets more important. The nearer the choice, and the less clarity there is, the more worries will arise that Xi Jinping is facilitating the creation of a perpetual presidency. In that case, critics inside and outside China who accuse him of being an autocrat would start to look vindicated. If no valid successor for late 2017 comes into sight, the space would be cleared for Xi to continue beyond 2022. That would be a stance directly opposed to the thirty-five years of building greater “institutionalisation” within the Communist Party. The argument that for Xi, his power is about him and not the party, would become much stronger. For his critics, too, this is dangerous. Because it shows that over three decades of trying to build a party that is not vulnerable to strongman politics, to the dominance of one paramount figure, and to a Maoist relapse, has faltered – and may possibly have failed. Huge efforts by Deng Xiaoping, Jiang Zemin, Hu Jintao and the people around them to ensure that the Maoist usurpation of party power could never happen again will have failed: at least temporarily, but perhaps for good. It means that in the 21st century, despite rewriting so many of the so-called rules of history, the Communist Party of China will try to preside over a modern, complex economy and society with a 20th-century-style dictatorship. It is hard to think that a regal, all-powerful Xi will indeed emerge without at least some in the party opposing it. At that moment, the position of people like Wang Qishan, Liu Yunshan, and Li Keqiang, will be critical. Will they conclude that the only way the party can survive is to pursue this high-risk gamble and place everything on the shoulders of one dominant leader? The Maoist precedent will not be a comforting one to them. But in the end, they might well be the only figures who can stand in Xi’s way, should he be tempted to take this path. It is too early to say what might happen late next year, of course. Sometime in 2016, a number of people in provincial or ministerial leadership positions might start to get more state media coverage, with clues appearing of their being positioned for promotion. At the moment, Xi Jinping’s actions have all been ambiguous. Everything he has done could be for self-aggrandisement – or simply to serve the party better and give it greater sense of mission and control in a difficult time. To a large degree, the succession issue will clarify the question of which Xi is: dictator or servant. Kerry Brown is professor of Chinese studies and director of the Lau China Institute at King’s College, London, associate fellow at Chatham House, and lead member of the Europe China Research and Advice Network. He was formerly director of the China Studies Centre at the University of Sydney. His next book is China’s CEO: The Rise of Xi Jinping (IB Tauris, April 2016).